Many merchant services providers consider these industries ‘high risk’ and are not willing to take on what they consider to be additional liability. MerchACT has over a decade of experience and knowledge navigating the payment processing waters for these merchants and specializes in providing UK high risk payment processing solutions. UK high risk payment processing that works for your business can be hard to find. 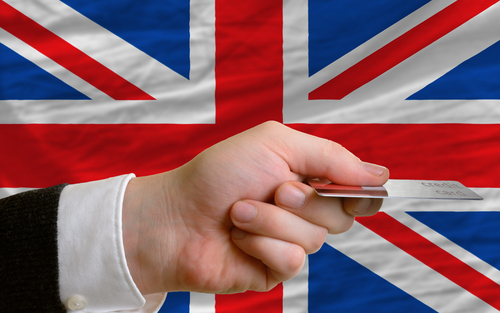 High risk businesses in the UK that are looking to obtain a merchant account and a payment gateway may have difficulty being placed with a traditional bank. Instead, these businesses must find a high risk merchant account, which can be extremely expensive. MerchACT understands the UK high risk payment processing sector better than most of our competitors. Rather than rely on “bait-and-switch” tactics that lure merchants in with low rates only to switch to higher rates just months later, we provide stable, reliable and affordable merchant accounts from the start. MerchACT has worked with high risk merchants for almost 15 years and understands the intricacies of various business models that fall into this category. Our clients range from startups to well-established businesses that operate in a card-not-present environment. We help these merchants establish a merchant account with one of our domestic or foreign banking partners, but we also provide ongoing support to ensure that the merchant account remains in good health. MerchACT understands the fraud and chargeback problem in UK high risk payment processing sector better than most. Our high risk clients often face high chargeback ratios that can land them in hot water with acquirers and the card brands. We partner with our clients to create a chargeback reduction roadmap that inspires confidence in your payment processing partners at every level of the payments ecosystem. We also work with merchants to improve internal customer services processes to ensure that unnecessary chargebacks are avoided. We offer a combination of fraud prevention tools and expert guidance to protect your payments from fraud at every step in the transaction lifecycle. International expansion is on the radar for many e-commerce merchants. It expands the consumer base beyond the walls of the business’ country of origin and can positively impact profits. Companies looking to expand overseas often tap MerchACT to assist with the numerous payment processing considerations, including multi-currency, currency conversion, and local alternative payment methods. Our team works as an extension of a merchant’s in-house staff to streamline payment processing for international expansion success. Many high risk merchants experience fluctuating growth patterns and months where volume spikes. Rather than shy away from high volume merchants, MerchACT provides stable, reliable and flexible merchant account options so companies can grow at their own pace. We help merchants with high volume get placed with a merchant account that can support unpredictable sales patterns and that doesn’t inhibit growth with volume caps or related fees and penalties. MerchACT partners with merchants to streamline and optimize payment processing. We get our UK high risk payment processing merchants set up for success from Day 1. We gain insights into your business model and lay out a strategic payments roadmap that guards against fraud, mitigates risk and implements best practices at every stage in the payments lifecycle. Each of our merchants has a unique business model and we tailor our UK high risk payment processing solutions accordingly. We also provide ongoing support and assistance through our experienced team of experts, who act as an extension to your internal team. We work hand-in-hand with your staff to set up a PCI-compliant gateway, layer the right set of fraud prevention and risk mitigation tools for your business, and improve internal processes. We always pair our UK high risk payment processing solutions with a payments advisor that acts as an extension of your internal team. In this way, we cover the entire spectrum of payments, from start to finish. This combination allows you to keep your focus on the core business – and growth. MerchACT makes the perfect UK high risk payment processing partner. Don’t fall prey to other that claim to specialize in ‘high risk’. Work with our team of seasoned professionals to get set up correctly from the beginning. We tailor our end-to-end solutions to the unique needs of your business. Whether you are a startup or well-established business, our customized solutions and team of experts can work for you.